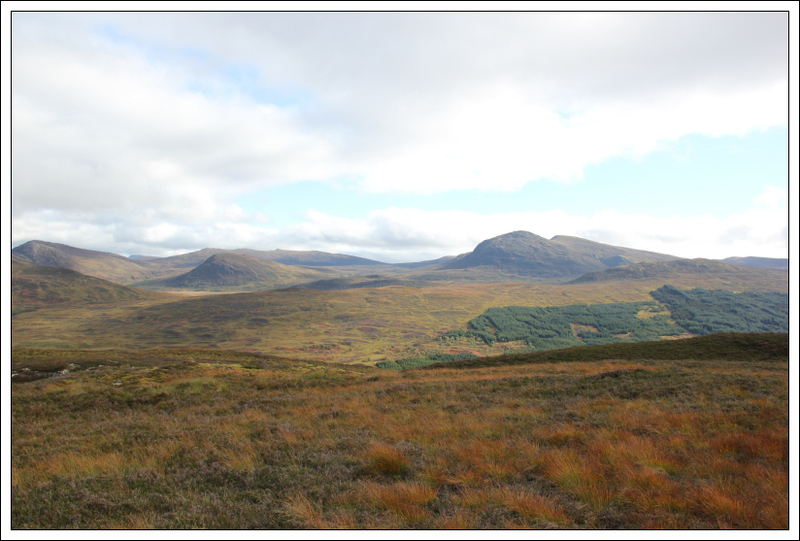 On Friday morning I set off from home towards Kinloch Rannoch to attend the Moray Mountaineering Club’s weekend meet. 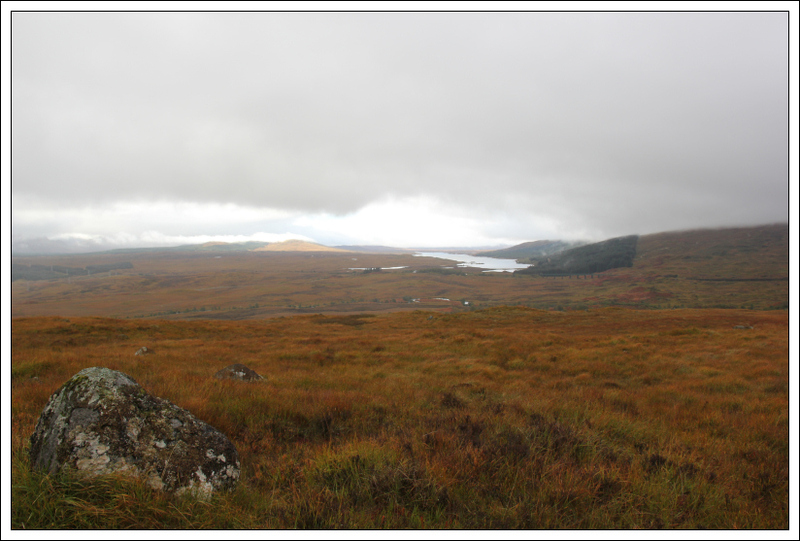 On reaching Kinloch Rannoch, I continued on towards Rannoch Station to ascend Meall Chomraidh – a Sub2000ft Marilyn. 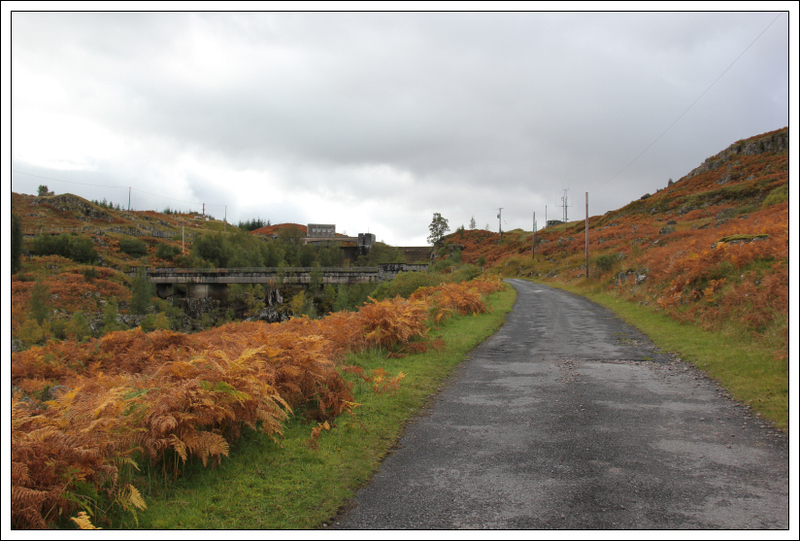 I parked at Bridge of Gaur with the intention of walking the Public Right of Way towards Meall Chomraidh. Near the start of the track is a sign stating, “Stalking takes place between 1st July to 15th February. The most important period is between 1st August to 20th October. During this period you can help by using an alternative route”. As this sign was attempting to discourage people from using the Public Right of Way and restricting access for over seven months of the year, I chose to ignore it. 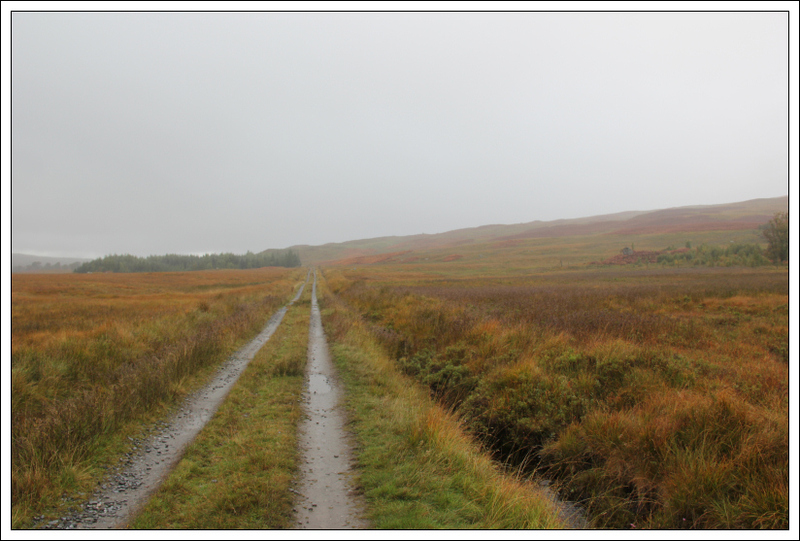 I followed the track as far as the bridge over the Allt Chomraidh before a car pulled up and stopped alongside me. The meeting initially felt like an inquisition – who was I, where was I going, where do I come from, where am I staying locally, ... 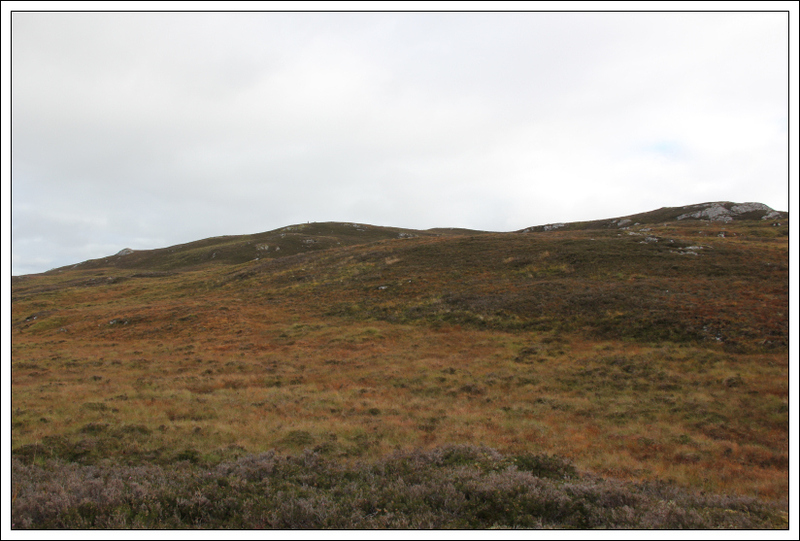 I was lectured about the money clients pay to stalk deer and how hillwalkers can disrupt this activity. 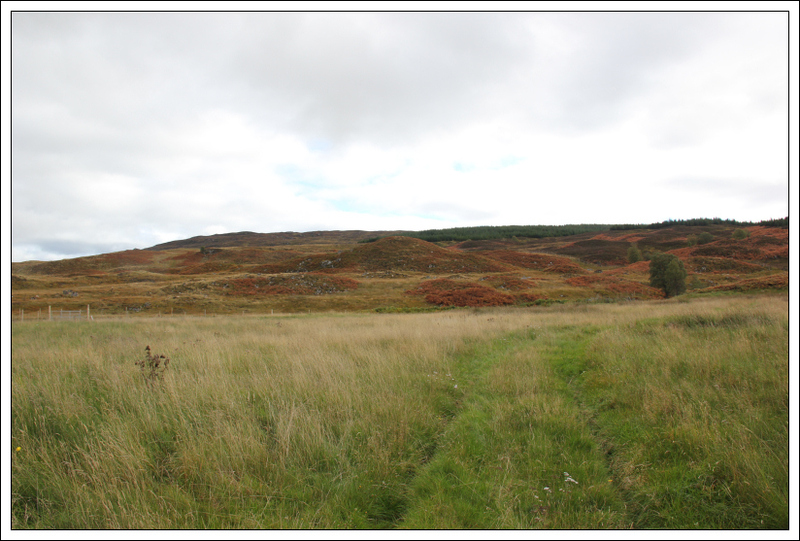 I was also advised that the Austrian landowner dislikes hillwalkers being on his land at any time. 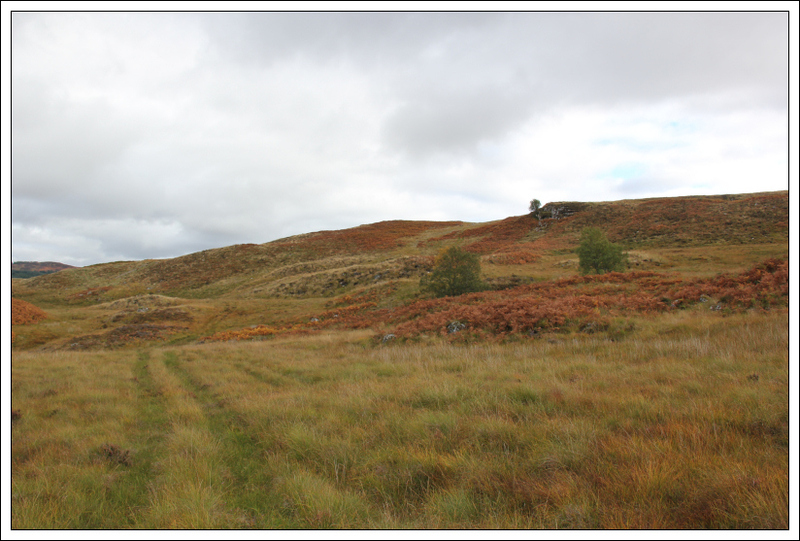 Following the conversation I chose to continue on up Meall Chomraidh as I felt the estate was not complying with the access code. I ascended circa 50m before being stopped by high dense bracken. I therefore had to return to the car without reaching the summit anyway . 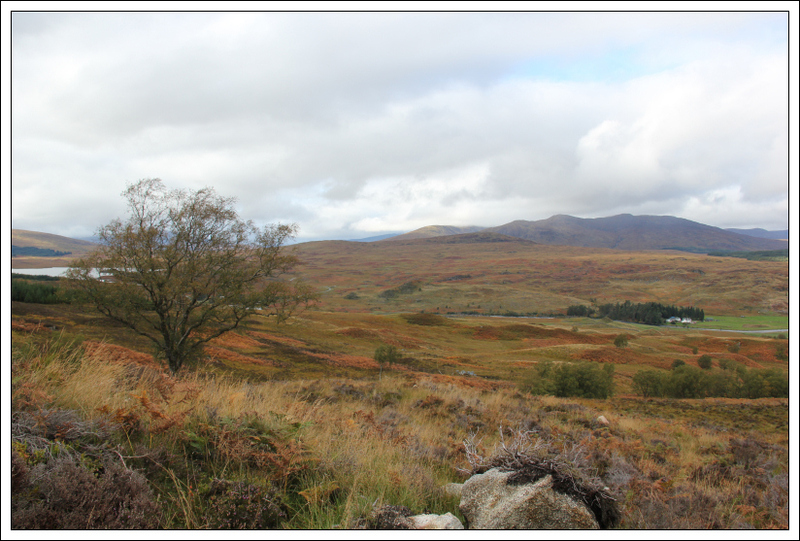 I then drove further along the road towards Rannoch Station for an ascent of Sron Smeur. 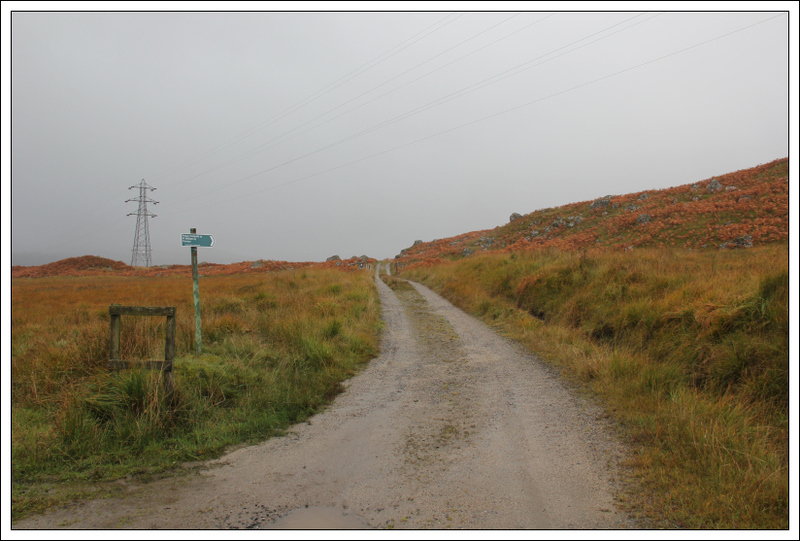 I parked at the start of the Public Footpath to Fort William via Corrour. 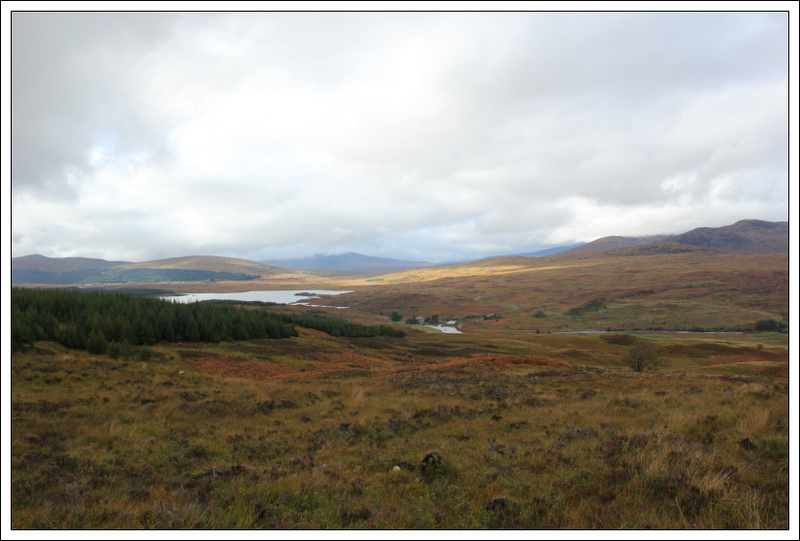 I set off along the good track towards Corrour. 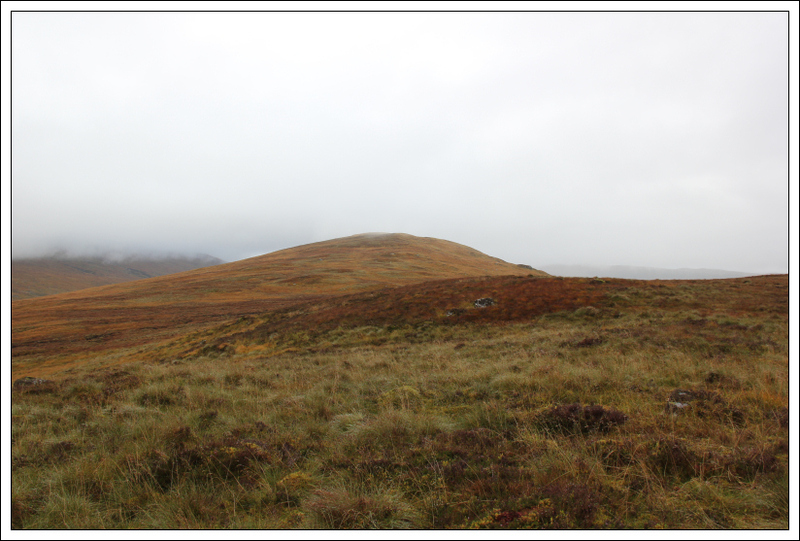 I last walked this path when ascending Beinn Pharlagain. 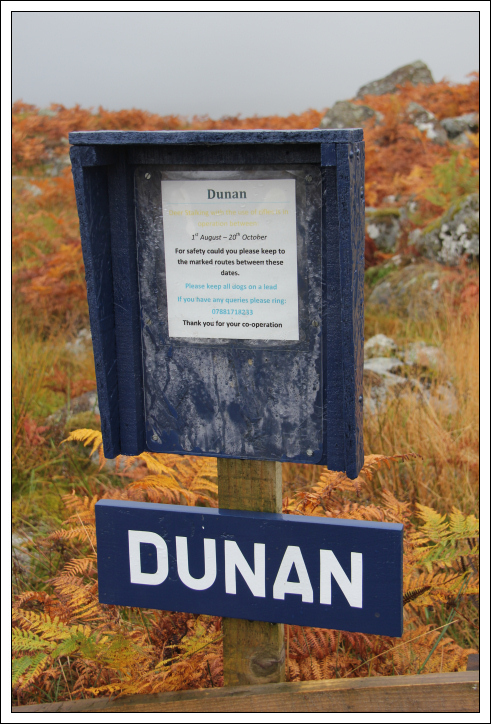 Near the start of the track was a sign advising to stick to the “marked routes”. I continued on ignoring the sign as there were no “marked routes” posted. After walking circa 1.5km along the track I took to the hillside. 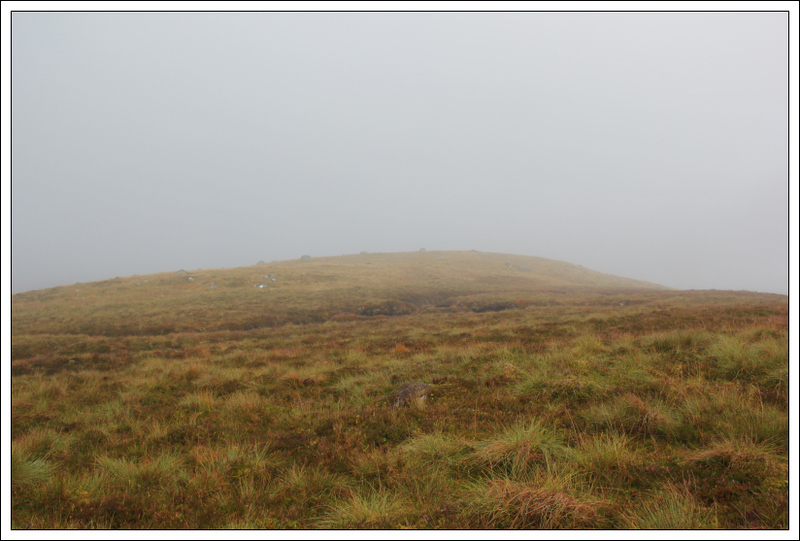 The ground was fairly wet underfoot and views were limited owing to low cloud. 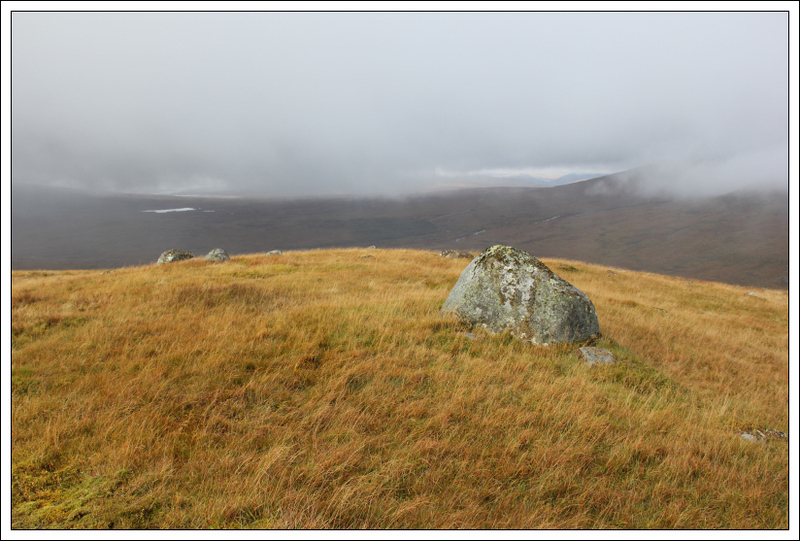 It didn’t take long to reach the top of Meall na Mucarach. 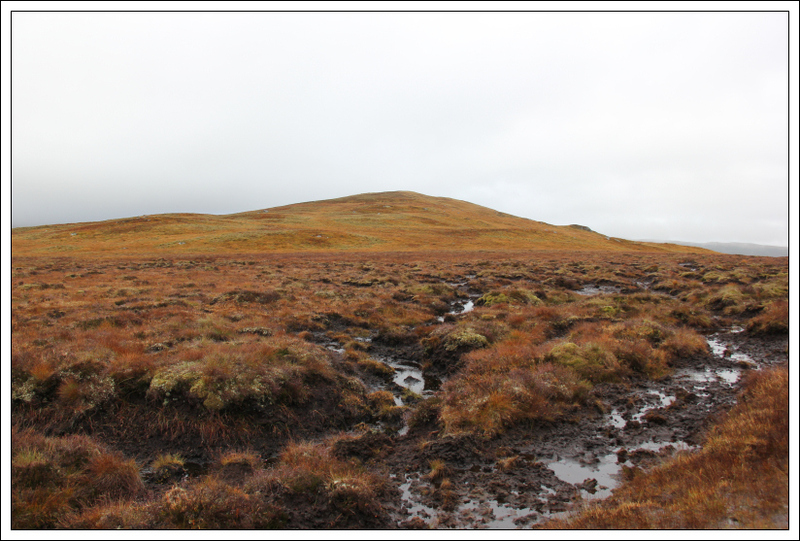 The col between Meall na Mucharach and Sron Smeur was fairly unpleasant. 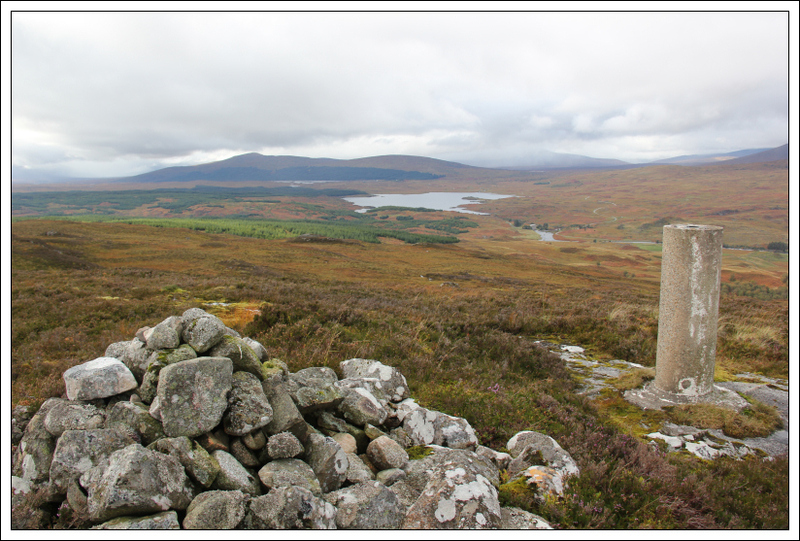 After passing the section of wet hags, I continued on to the summit of Sron Smeur. The summit is the boulder in the next photo. From the summit I returned to the car via the same route. 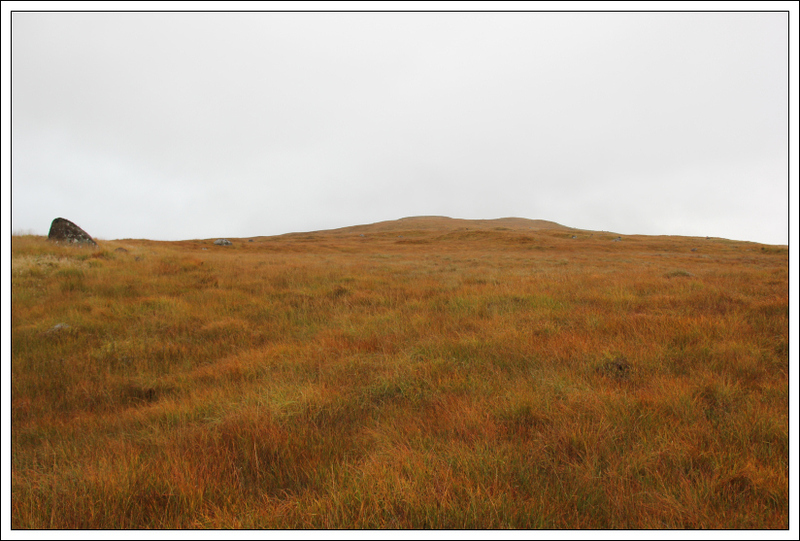 On reaching the car I decided to look for an alternative route up Meall Chomraidh. 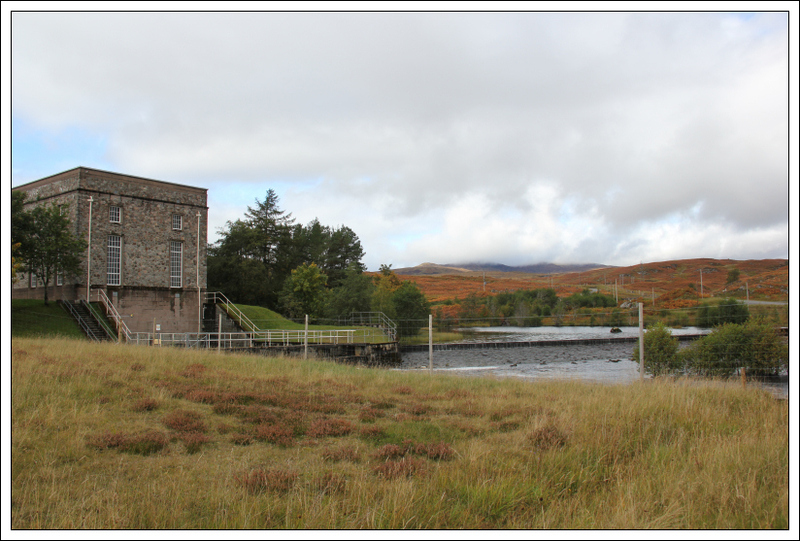 I drove to and parked at the Gaur Power Station for a second attempt of Meall Chomraidh. 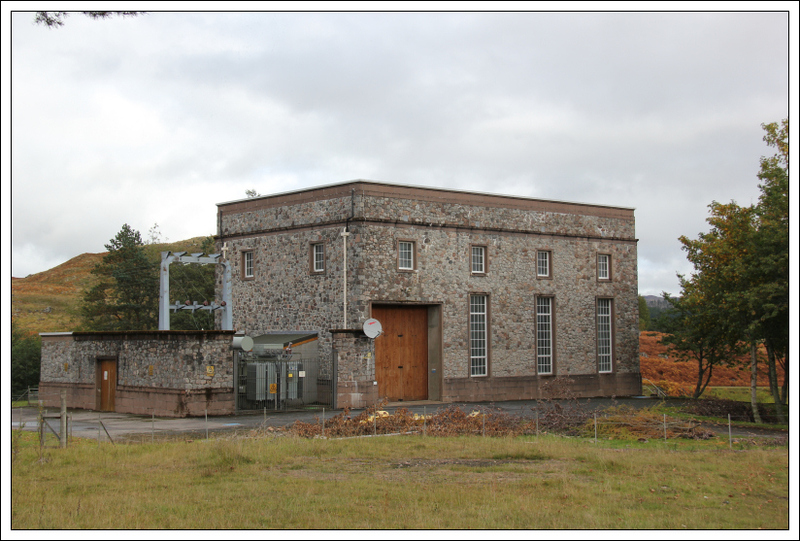 I initially walked the tarmac road round to Gaur Power Station before reaching a locked six-foot high gate. I climbed over a six-foot wooden fence next to the gate and then carried on along the track on the other side. 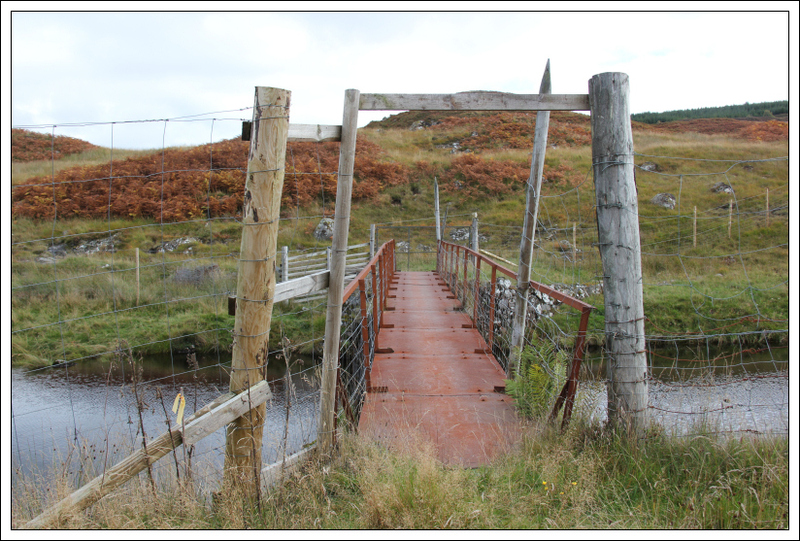 After a few hundred metres I reached the bridge over the Abhainn Duibhe. Once beyond the bridge I decided to follow a vehicle track for as long as it was heading in the right general direction. 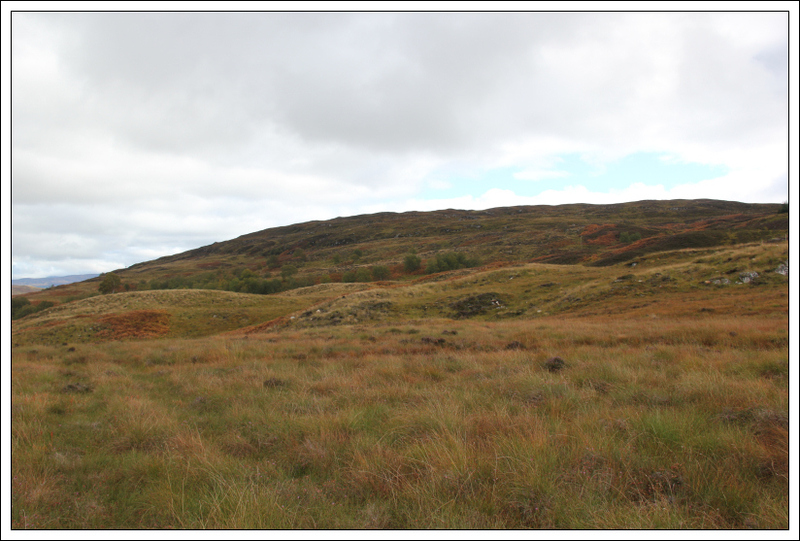 When the track stopped ascending, I continued on up the hillside. The ground was fairly rough and there were hundreds of holes to avoid. On reaching a six-foot deer fence, I decided to follow it as it was heading uphill in the right direction. I eventually had to climb over the deer fence to get towards the summit. There are no stiles. It felt great to reach the summit having failed to get there earlier in the day. 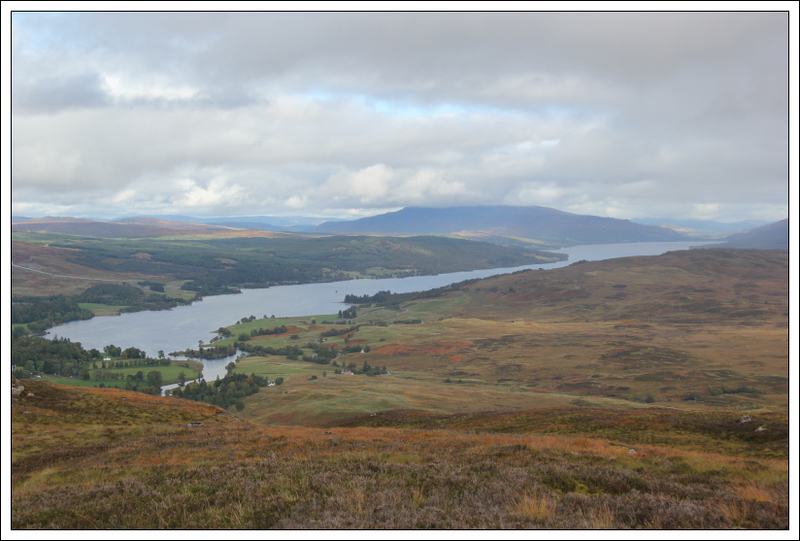 This hill is a great viewpoint for looking down the length of Loch Rannoch. 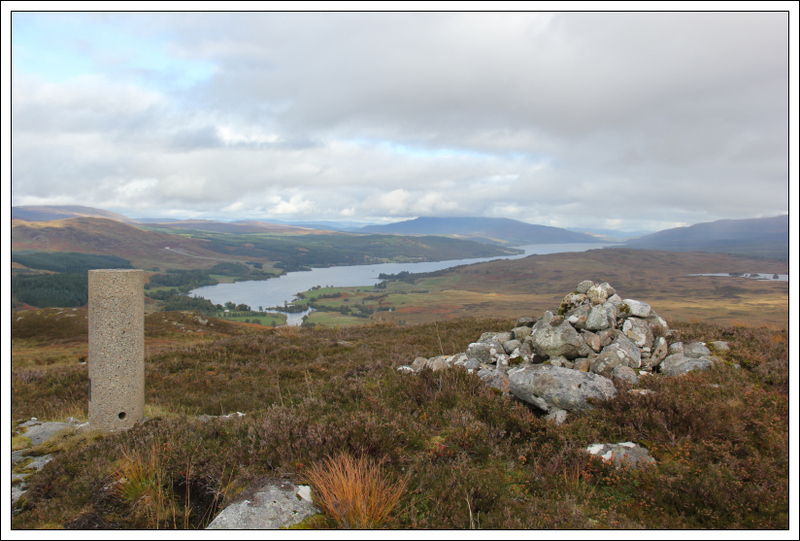 From the summit I took a short detour to have a look at something odd on the hill - a wooden stake with what looked like a white flower pot screwed to the top. No idea what this is for. University of Durham was written on the stake. 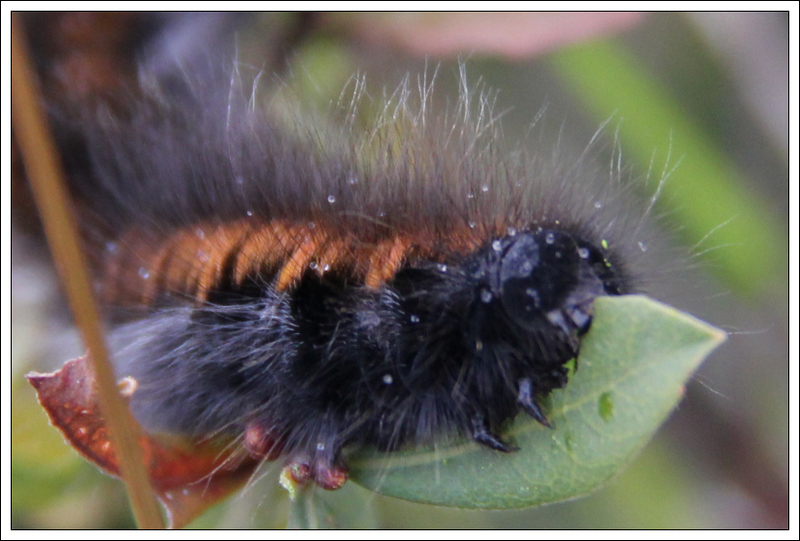 During the walk back I passed dozens of fox moth caterpillars. I stopped to take a close-up photo of one of them.